Nothing says Valentine’s Day like a fictional time-warping device, right? This entry was posted in Comics and tagged 3d, 3d printer, awkward, cartoon, cartoons, comics, drawing, humor, time, time travel, unexpected on February 14, 2015 by zucchinipi. 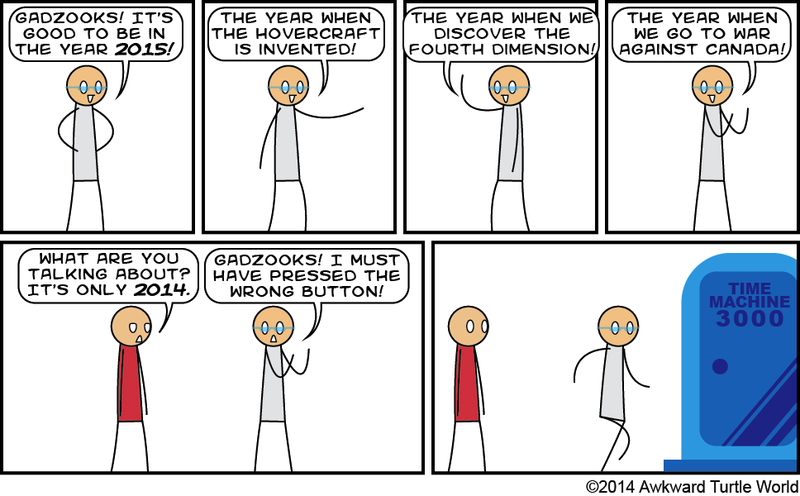 This entry was posted in Comics and tagged 2014, awkward, cartoon, cartoons, comics, drawing, happy new year, holiday, humor, new year, pseudoscience, spoiler, time travel on January 12, 2014 by zucchinipi.